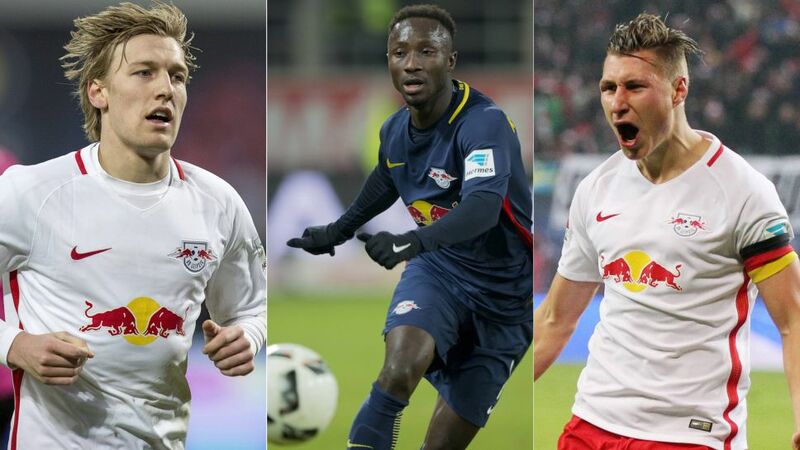 Emil Forsberg, Naby Keita and Will Orban (l.-r.) are just three of the new stars Leipzig have introduced to the Bundesliga. 'Fairy tale' is a term that has often been used with Leipzig over the past few months, and it is easy to see why. The promoted club have brought an attacking - and successful - brand of football to the top table which has left fans and opponents stunned. Unbeaten through to Matchday 14 – a record for a newcomer – they head into 2017 as the side closest to challenging FC Bayern München, having picked up plenty of significant scalps along their spellbinding journey. Leipzig's Swedish attacking midfielder has been arguably one of the biggest stars to emerge from the first 16 games of the season, with his dizzying runs and deadly finishing causing a whole host of problems for opposition defences. No other player has provided as many as Forsberg's eight assists this season – and Timo Werner will be first to thank him – while he has chipped in with five goals too. Click here to vote Forsberg into your Team of the Hinrunde! All of Leipzig's eye-catching attacking football would have gone to waste had it not been for the foundations provided at the back by Willi Orban. The 24-year-old defender – Leipzig's vice-captain – has given the impression of being a seasoned campaigner, and he can talk the talk too. "My aim is to be one of the Bundesliga's best central defenders," he said. "These are all just steps on my way there; that is what I train for." Click here to read 10 things on Willi Orban! Leipzig's 13-game unbeaten start to the season was the best ever by a Bundesliga newcomer.Only one club with as many as Leipzig's 36 points at this stage of a season have gone on to finish outside of the top two (fourth).Leipzig have the youngest average age of any Bundesliga side this season (24.1).